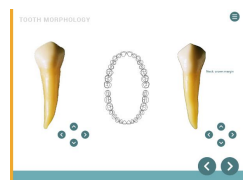 Tooth morphology is a key concept for dental students to understand and develop over the course of their BDS training.Teaching of tooth morphology begins in the first year of the BDS programme, with traditional lectures and practical sessions. Students are taught the didactic elements of identifying teeth and the anatomical features of each tooth. Being able to apply this didactic teaching when necessary in the clinical setting in later years to repair and restore teeth affected by disease requires students to recall and apply this knowledge to restore both form and function for the patient. an interactive peer-reviewed learning resource. The approach for addressing these needs is based on a pedagogy of expertise. 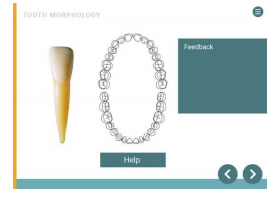 E-learning will be used to support and reinforce the learning of tooth morphology from year 1 through to year 5. By providing students with content using a blended approach and a variety of learning styles supported by interactivity and self assessment. The content is matched to the students level of understanding and help them to relate tooth morphology to clinical practice. As an e-resource the content will be available to students throughout their programme whenever and as often as they need it. The first phase of the project was designed for year one and two students and focused on the permanent dentition. 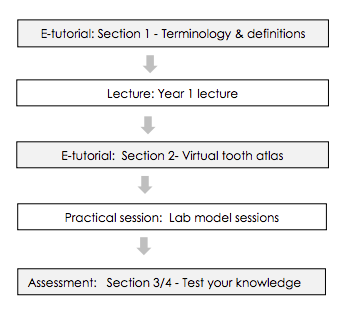 This will be developed further for the requirements for year three and four students relating to endodontic teaching. The resource will then also be developed for the primary dentition. This programme aims to offer a learning resource for year one and two students. 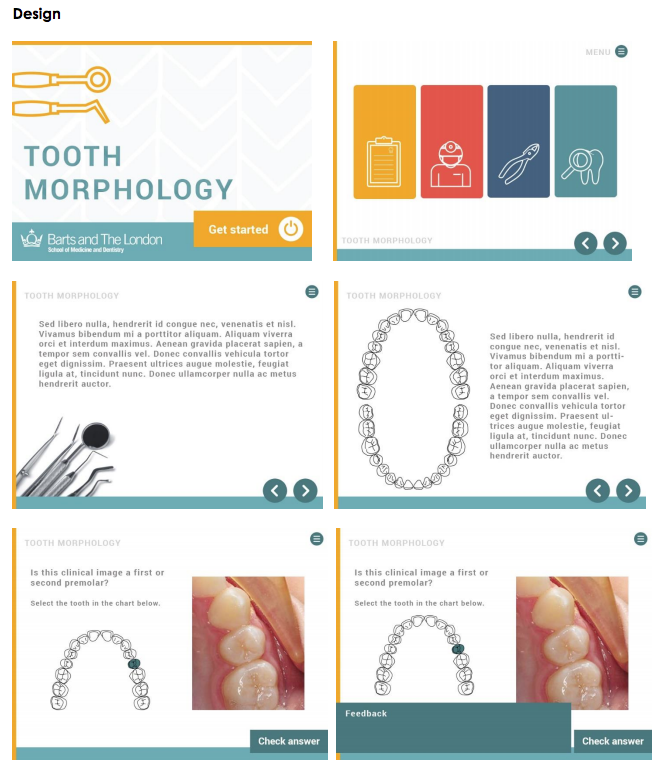 Develop a blended interactive learning tool to enhance the teaching and help students consolidate their understanding of tooth morphology. Identify any isolated permanent anterior and posterior tooth using crown and root features. Dr Fiona Clarke prepared Section 1 and the template for the sections 2,3,4. Dr Nehete and Dr Woodhoo ran the focus groups and summarised their findings to review the objectives. Mr Audsley managed the project and trained everyone in the use of the software Articulate. Funding was secured from the E-Learning Unit to employ one student from Year 2 and Year 4 each. The students photographed 32 teeth in 6 planes. While one student prepared the labels for the photographs, the second student prepared the slides for the e – learning resource. The photographs were quality assured and entered into a template produced by Dr Clarke and Mr Audsley. Mr Audsley worked closely with the students to ensure quality assurance. Rigorous testing was carried out by the team to ensure the academic content and quiz material aligned to the learning objectives. Feedback was sought from colleagues over the August period. Mr Audsley received all the feedback and refined the resource. The project is now complete and ready for general release. It is important to note that this project is a start to a developing content which will need to be modified and varied for use in Years 3,4 and 5. I hope that Queen Mary is able to support further development to ensure the completion of projects targeted for Years 3,4,5. This e-learning tool has been designed to be integrated with current teaching using a blended learning approach in year 1/2. contain the selection screen for entry to the 4 sections. Section 3 – What tooth is this?